In the above image you will see our customer login page. At this page you have the ability to login and view the status of your order. Your login will be the email address and phone number you listed on your application as the contact email and contact phone number of the applicant. Should you have any issues , please reach out to us with the " contact form ". 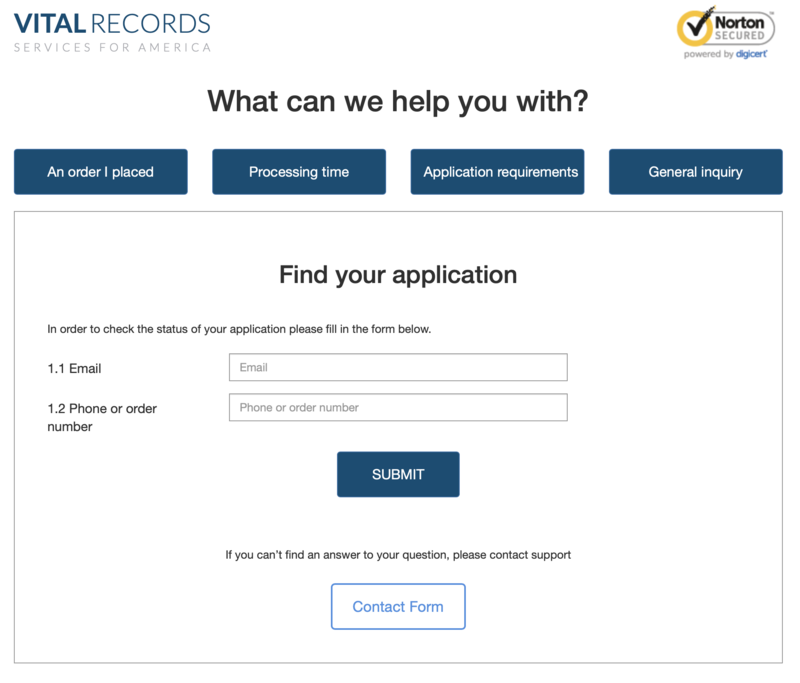 You can reach the customer login page now by clicking SUPPORT Page - Vital Records Online. How do I order my vital records (birth, death or marriage certificate)?